One highlight of the multiday Wawa Welcome America! July 4th festival is the Free Neighborhood Concert by the world-renowned Philadelphia Orchestra. Thousands of music lovers flock to the Great Plaza at Penn’s Landing on the Delaware River Waterfront to enjoy an evening of alfresco music and spectacular fireworks. The 2017 Wawa Welcome America six-day festival will take place on Thursday, June 29 through Tuesday, July 4. There will be 50 free events during the celebration in Philadelphia. The theme of this year’s 25th anniversary event is "Everyone is a History Maker." Kicking off the whole festival will be Wawa Hoagie Day, taking place at noon on Independence Mall. After enjoying a free Wawa hoagie, make plans for the rest of the weekend. There are a few Wawa Welcome America debuts this year. Culture on Tap (like Philly's traveling beer garden Parks on Tap) will pop-up from 4-9 p.m. on June 29 at City Hall’s courtyard. The beer garden full of cultural entertainment will be presented by the Mayor’s Office of Arts & Culture and Parks & Recreation. Culture on Tap will pop-up every Thursday through Aug. 31. Over at 40th and Walnut streets on Saturday, July 1, there will be a special edition of Night Market from 6-10 p.m. 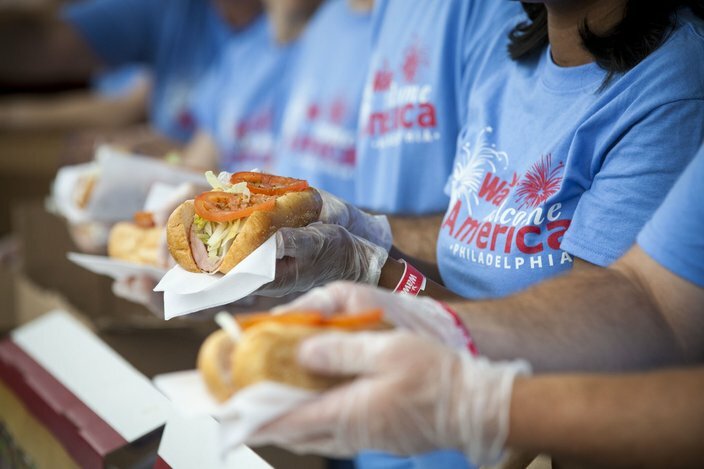 The Food Trust partnered with Wawa Welcome America to bring the food truck fest to a new neighborhood. Those aren't the only new and exciting events this year, however. 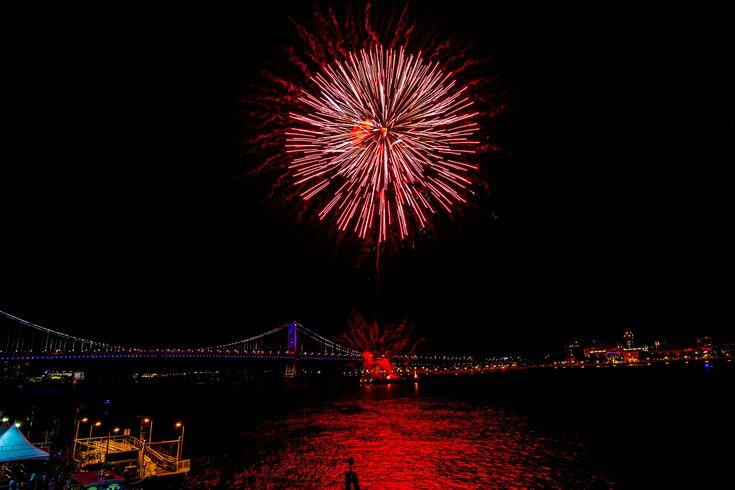 There will be more fireworks for 2017's celebration with aerial shows on June 30 and July 1 at 9:30 p.m. over the Delaware River waterfront. 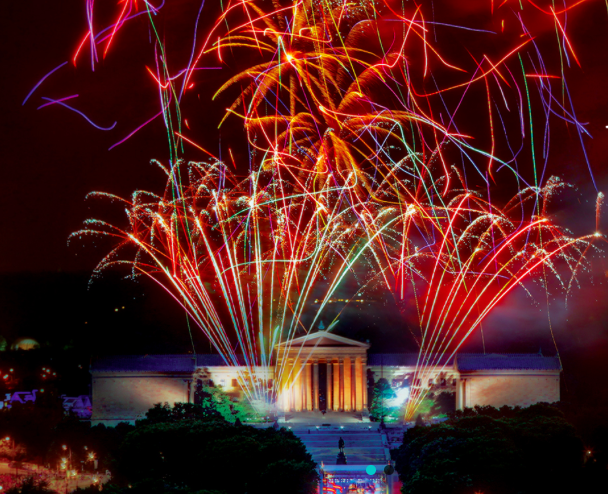 On the Fourth of July, there will be two simultaneous shows at the Philadelphia Museum of Art and the Delaware River waterfront at 9:30 p.m.
For the 21-plus crowd, besides Culture on Tap, there will be new "Red, White and Blue" happy hours and boozy brunches with Fourth of July themes. On July 3 at the Kimmel Center, the whole family can enjoy a sneak peak of the 2017-2018 Broadway Philadelphia season in Old City (although no word if "Hamilton," coming to Philly next year, will be featured during the event). It's a first for the festival. There are plenty of new experiences at this year's celebration, but the popular traditions – like free museum admission, free concerts and free movie screenings – will still take place. Eastern State Penitentiary, National Constitution Center, African American Museum in Philadelphia and The Barnes Foundation are a few of the participating museums. The Philly POPS performance on Independence Mall and the Philadelphia Orchestra performance at the Great Plaza at Penn's Landing are two popular free concerts. As for the free movies, one of the most exciting screenings is "Rocky" on Sunday, July 2 on the Philadelphia Museum of Art steps. As always, the annual Wawa Welcome America July 4th Concert will end the six-day celebration. This year's headliner is Mary J. Blige. View more on specific events here.